FabriMural combines the portability of our legendary Instand® pop-up with the convenience of a seamless radiant fabric graphic panel. 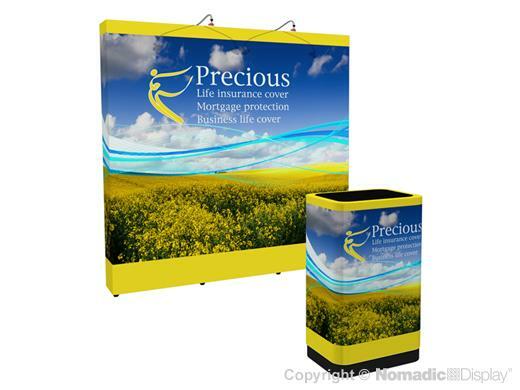 Vibrant printed fabric panels come pre-installed so all you have to do is pop it open and you’re ready to Show and Sell. FabriMural frames are also backed by our industry leading “No Questions Asked” Lifetime Warranty.